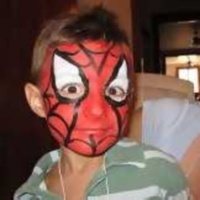 FunNewYork.com is your best bet to finding face painting in NY. Kids love having their faces painted during birthday parties, fairs and festivals. Use this additional resource to find face painters in NY who can paint animals, flowers and other designs. Always interested in children, Alison has a B.A. degree in Teaching. She has been Face Painting at parties and events in New York for more than ten years, and her experience is quite comprehensive. She has probably handled just about any situation that might come up at your event. This artist will feel happy to be involved with your event. She likes children, and she likes artwork. An abbreviated directory of just some of her Face (and Arm) paintings include: Butterflies, Princess-designs, Roses and Flowers. Also, Spiderman, Batman, Hearts, Stars, Dolphins, Sharks, Cats, Dragons, Monsters, Skulls, Tigers, Unicorns, Snakes, Specific Holidays, Presents, Tropical Scenes, Tribals, Super-Heroes… the list goes on and on. You can see many pictures of them at her blog. She handles Birthday Parties, Holiday Parties, Store Openings, Graduation Parties, School Events and More. Let her know what kind of event you will be hosting. Face Painting for all Ages! 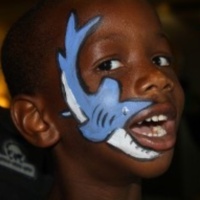 Derrick has over 12 years experience in body and face painting to meet all the needs for your children's birthday party. He specializes in kids face painting in NY. He has worked with celebrities including Martha Stewart and Whoopie Goldberg and is sure to please both the children and parents at any birthday party in the New York area. He is one of the top New York face painters and works with people of all ages at any special event. With Derrick face painting at your child's birthday party both the young and old are sure to be pleased. Unique and Fun Face Painting! 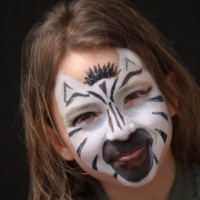 As one of the most unique and innovate New York face painters, Katie prides herself on offering you and your children a fun and unforgettable experience. 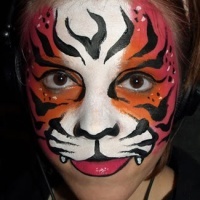 If you're looking for face painting in New York to liven up your children's birthday party, Katie is a huge hit with children and adults alike. She offers a wide variety of face painting from general art to glitter tattoos, and prenatal belly painting. She ensures your child's safety by using only FDA approved paints and hypoallergenic glitter. 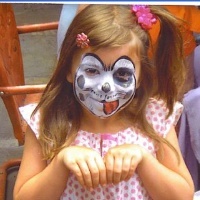 As a New York face painter Katie will put a smile on everyone's face at your child's birthday party. 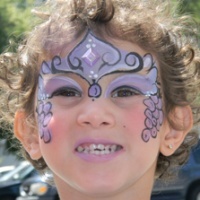 When looking for professional, high quality face painting in NY, Binx is highly trained and professional. With over 8 years experience face painting in NY, and working over a thousand parties, he has all the skills needed to make your child's birthday party a huge success. 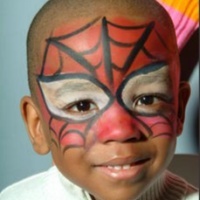 He specializes in kids face painting in NY and putting smiles on all of his customers' faces. 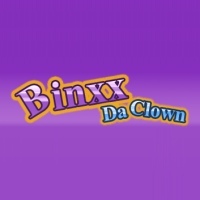 Binx has a wide variety of skills working with children in any party setting. He is top-notch among New York face painters and guarantees 100% satisfaction among children and adults at any party he hosts. Face Painting that Fits your Needs! 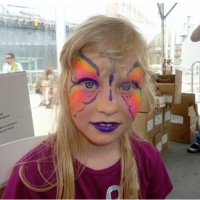 Aurora Entertainment prides itself on providing quality kids face painting in NY. With over 7 years experience in the children's entertainment industry they aim to meet the needs of parents and children at every party they entertain. 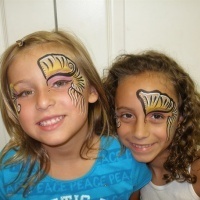 All of their face painters in New York pride themselves on 100% satisfaction to all customers. Aurora Entertainment works with you personally to satisfy all the needs of you, as well as your children. All of their face painters are professionally trained to work with the paint and to work with your children on a personal level. You cannot go wrong if you hire these New York face painters. Creative and Caring Face Painting! Lisa takes pride in turning your child into anything his or her imagination desires. She is among the top professional NY face painters. Painting is Lisa's passion and she will give no less then 100% of her attention to every child at a birthday party, no matter the size. She assures the safety of every child and adult by using only FDA approved paints and carries insurance. Lisa's face painting work has been featured numerous times throughout Upstate New York on TV channel 9-YNN, in the Albany Times Union, and at several festivals. She is guarenteed to amaze children and adults alike at any birthday party. 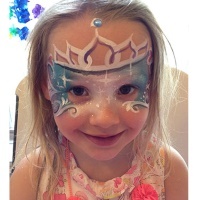 If you're looking for face painting that goes beyond your expectations then Ivy's face painting is the right place for all your birthday party needs. Ivy is highly trained in the art of face painting and is a member of the NY Face and Body Art Guild. She will satisfy the needs of every parent and child being able to handle any size party, no matter how small or large! Her skills range from face painting to glitter tattoos and airbrush tattoos. 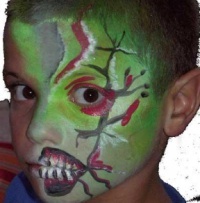 When looking for face painters in NY Ivy is sure to please both the adults and children. Fantasia is one of the most eclectic face painters in New York. 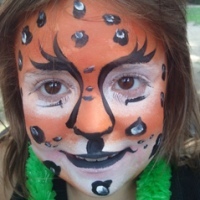 She offers a wide variety of face and body painting from animal faces to monster and custom work to serve the needs and wants of all the guests at your child's birthday party. With 20 years experience in the cosmetic industry the guests at your child's birthday party are in good hands! Fantasia is fully licensed and insured, uses only FDA approved, non-toxic and non-abrasive paints and glitters to ensure the safety of every guest, big or small. She will work with any size budget to make sure your child's party is the best it can be. Emma is a highly trained and efficient New York face painter. She is dedicated to the safety of each of her clients by using only FDA approved glitters, makeups and paints and even tests the products on herself to ensure its safety. All paints and glitters wash off easily with water and mild soap with no mess. Emma will adapt to any size party, no matter the size or budget! She has over 50 designs to choose from so there is something for everyone at your child's birthday party. She is comfortable with all kids and adults and makes sure all the kids feel comfortable with her. Kiki has an extensive background working with children of all ages. She will accommodate to any type of birthday party to suit the needs of your children and your budget. She prides herself and her team on providing only high quality, 100% safe and non-toxic paints and glitters to children and adults. Kiki offers over 100 designs to choose from for both boys and girls, so everyone at your child's birthday party will be 100% satisfied. She can do a variety of designs from full face to partial, cheek, or hand designs so everyone is fully satisfied. Kiki prides herself on being one of the top New York face painters and ensures everyone at your child's party will be happy. 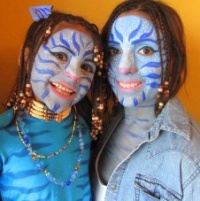 Marty and Iris pride themselves on bringing your child's fantasy and imagination to life through face painting. With over 30 years of experience working together and with kids, there's nothing too big or small they can't accomplish. They will paint anything your child or you can imagine! They use only FDA approved paints that are non toxic, water based and hypo allergenic. Marty and Iris paint faces, necks, backs or bellies to give your children the design they are 100% satisfied with. Their biggest joy in the business is to see the smiles on the faces of all the children they paint. 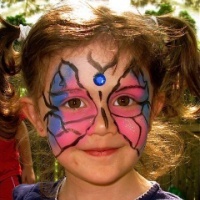 With over 10 years experience working with children of all ages Donetta is sure to bring your child's birthday party to life with her exquisite face painting designs. She accommodates birthday parties to fit the needs of the parents by working with all types of budgets and the children by working with all ages. She has a wide variety of designs for both boys and girls. Donetta uses only FDA approved paints that are virtually mess-free and wash off with warm water and soap. She can work with a wide array of party options to fit your needs and is sure to be a hit among children and adults! Melason's Creations is specifically designed to create smiles with art. With over 10 years experience working with children, and the winner of 2 national awards for face painting Melason's Creations is sure to please the young and old at your child's birthday party. With a wide range of designs from full face to cheek or eye designs, everyone at your child's party will leave with a smile on their face. Melason's Creations offers a wide array of themes from superhero, animal, princess, butterfly and pirate themes to satisfy the creativity in both the boys and girls at your child's birthday party! Custom and reliable face painting centered around the needs of you and your children, Apryl Cadabra face painting provides you with everything you could possibly need to ensure the perfect face painting party for your children and their friends. Providing services for any size birthday party they are more then ready to fit the needs of your wallet. Apryl Cadabra face painters not only want your children to have fun but want you to join in too. They face paint both children and adults! They also ensure your safety by using only FDA approved, 100% nontoxic paints and glitters. 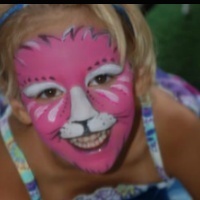 Jessica is a professional face painter looking to make your child's birthday party a day to remember! She uses only FDA approved, 100% safe paints, glitters and supplies to ensure the safety of every child and adult. No job or party is too big or small for Jessica, and she is willing to work with any budget. She will turn your children, even the adults, into anything they can imagine. Whether your child wants full face or half face, Jessica will transform them into a magical work of art! She is even willing to plan ahead and practice if your child wants an abstract theme! Consistent and Reliable Face Painting! Alicia is a reliable and professional face painter ready and willing to meet any needs to make your child's birthday party one they will always remember. She personally works with every child she paints to make them feel absolutely comfortable before she begins her work. She does custom work for every child and adult she paints, turning you or your child into a work of art! Alicia does full face, cheek art, body painting or sparkle tattoos so everyone is completely satisfied. 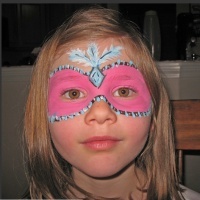 The art may not last forever but with Alicia face painting at your child's birthday party the memories will. Diana, founder of Bella Face Painting, is a professional face painter with a background in Fine Arts. She combined her passion for painting and love of children into a career in face painting. She prides herself in transforming all of her clients into anything they can imagine. She is available for any size birthday party, no matter the amount of people or your budget. Diana specializes in themed parties such as animal, princess or fairy to turn your children into living art. If your child has a vivid imagination they can create their own theme and Diana will cater to it no matter how far out it may seem.